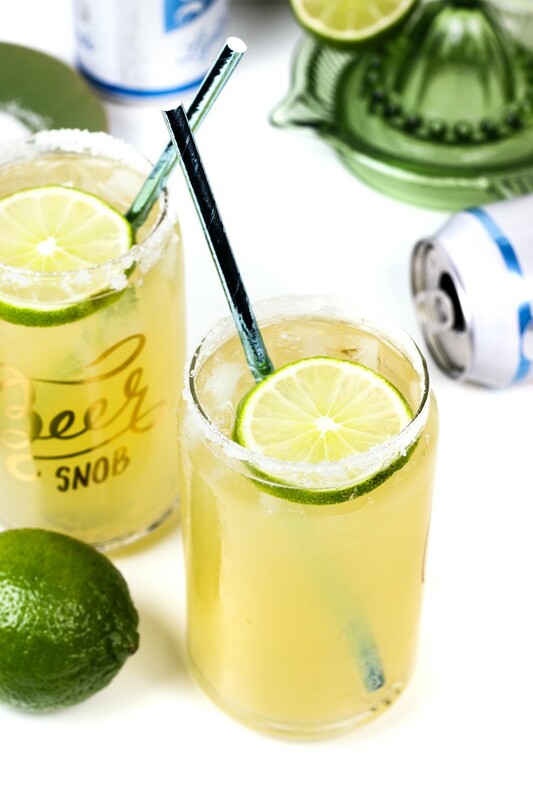 Watching the big game calls for a Beerita, a hybrid of the two best game-watching drinks: a beer and a margarita. 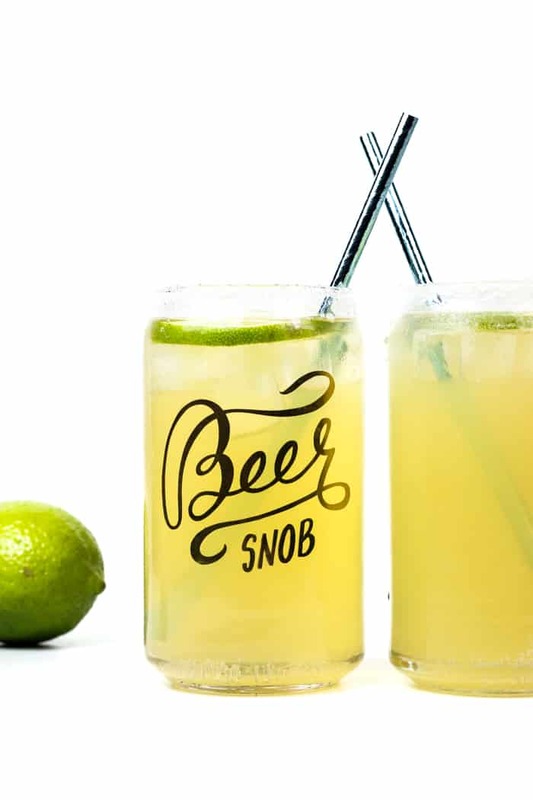 Don’t worry, no tequila is left behind in this fizzy, lime cocktail. 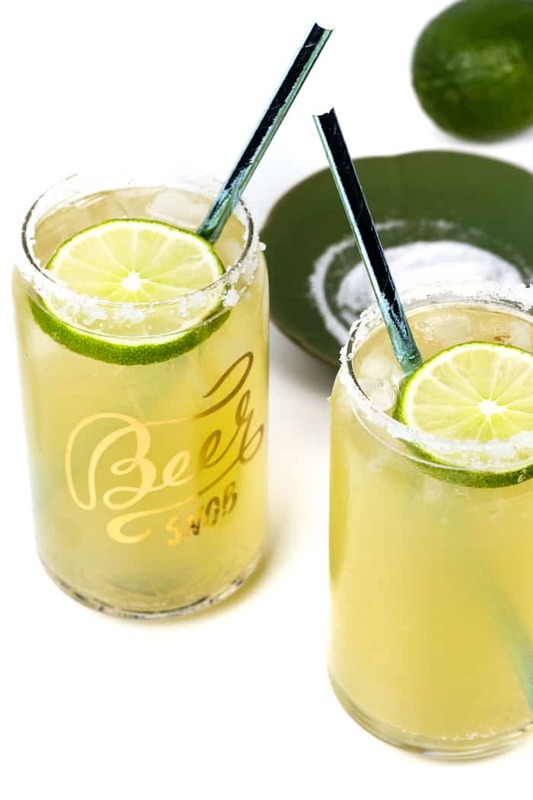 You’ll love this beer margarita recipe! Why do you watch the Big Game? Is it the football itself? The halftime show? The commercials? Or maybe it’s the puppy or kitten versions beforehand! I have absolutely no skin in this year’s game, but as we could guess I am here for commercials and food. 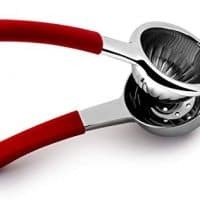 For me, the Big Game is always a chance to hang out with friends and use chips to shovel guacamole into my mouth while I casually pay attention to the TV. The halftime show is usually fun to watch, even if you don’t love the chosen artist(s). I enjoy the ads too, but the Internet has kind of ruined them for me. All the teasers, previews and early releases just don’t catch my attention like they used to. And if I miss one during the game? I’m sure there’ll be a recap of the best commercials on Monday. With a spread including jalapeño poppers, queso dip, pimento cheese and pizza dip, if I’m not watching the game, you can find me at the food table. And then after that, I’ll be grabbing a drink to wash down all the salty foods. 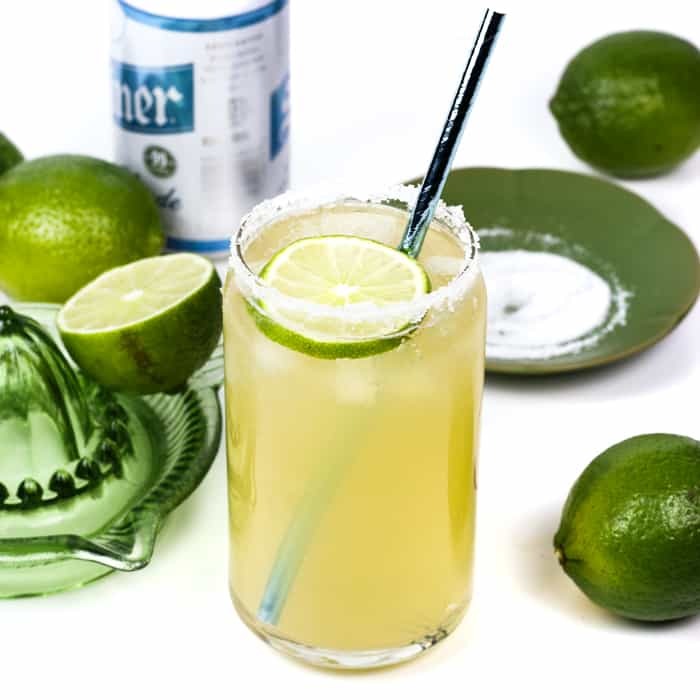 Some people go for a beer, but I’ll always pick a Beerita, which is a beer margarita. 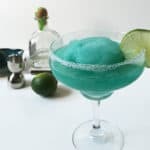 Though if my beloved Panthers are playing, I’ll be making one of my Frozen Blue Margaritas instead. After I raid the food and drinks, I won’t be ready to sit down. If there’s dessert (and hopefully there’s peanut butter cheesecake brownies), I’ll be there next. Who needs to watch the game? I’m kidding. Sorta. But really, the food table is the best part of the big game, right? Tell me I’m not the only one! 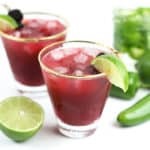 Let me tell you a little more about the Beerita. 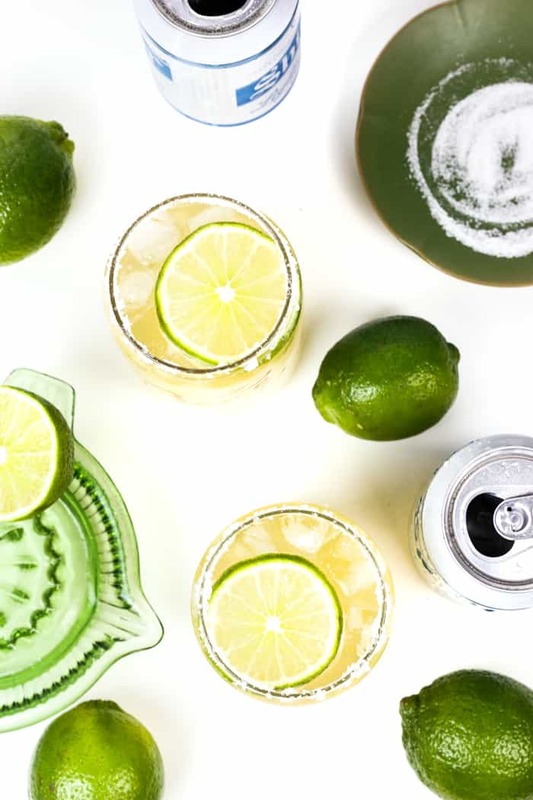 It’s a regular lime margarita recipe, but we’re adding beer. 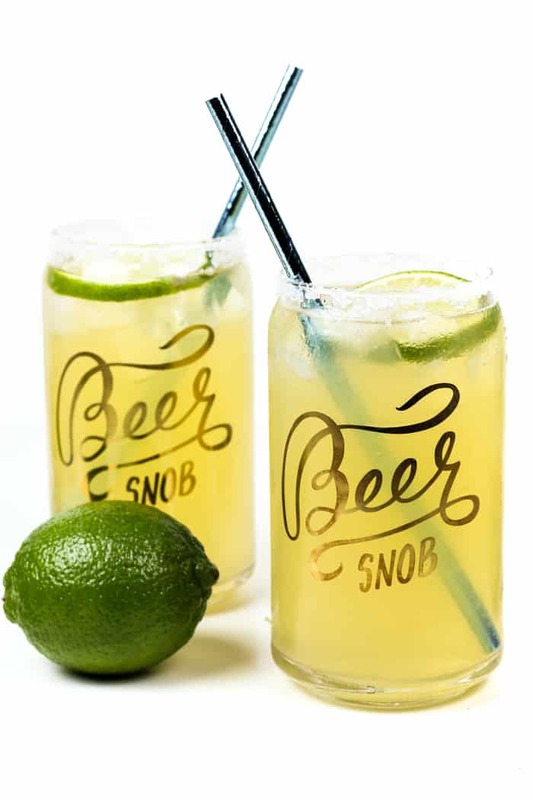 The carbonation from the beer makes the margarita fizzy and it pairs so perfectly with the lime and salt rim. You’ll also need a batch of easy simple syrup ready to go for these! 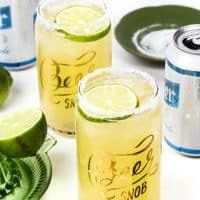 What kind of beer should go in a Beerita? 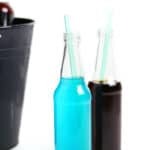 You can use any kind of Mexican lager or ale, like a Corona or Tecate, but any kind of light beer will do. I used a blonde ale for these because it’s what I had in the fridge. How do you make Frozen Beeritas? This is an on-the-rocks margarita recipe, but you can absolutely make it frozen! Put all the ingredients in a blender with 1 cup ice and mix them up! Them pour them into a glass and enjoy! 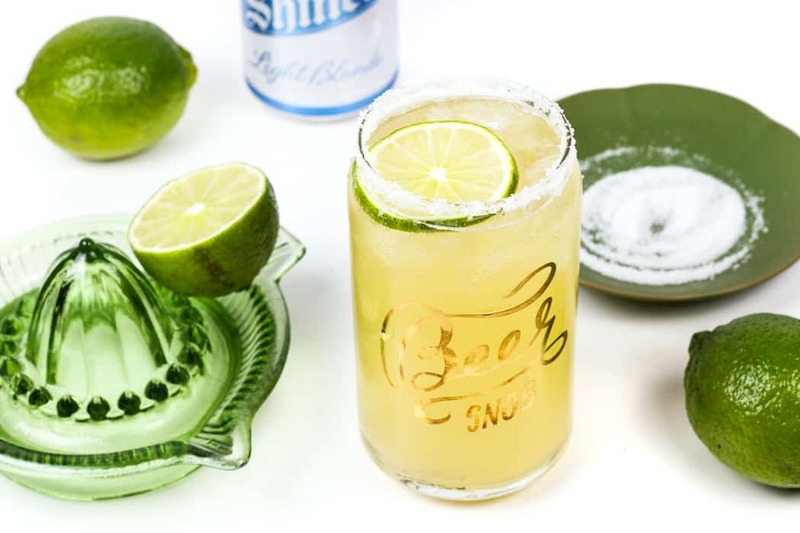 If you’re looking for an easy twist on a margarita, or something nicer than just a beer for the Big Game, definitely try out this beer margarita recipe! 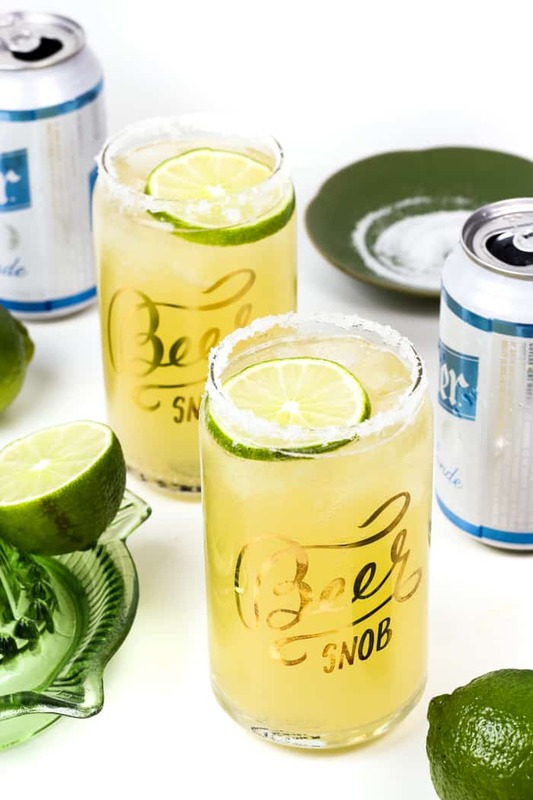 The Beerita is a beer margarita recipe that's perfect for sipping while watching the the big game! Cut the lime in half around the middle, widthwise. Save one half for later use (or for juicing for your lime juice). Cut two thin round slices from the other half, then cut what's left into quarters. Pour salt onto a plate. 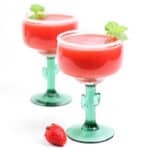 Wipe one of the lime wedges around the outer edge of two glasses, then roll the outer edge of the glass in the salt. Fill each glass with ice. 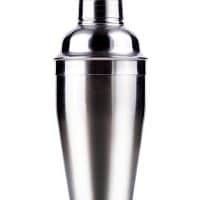 In a cocktail shaker filled with ice, combine tequila, simple syrup and lime juice. Shake to combine. Divide into the two glasses. 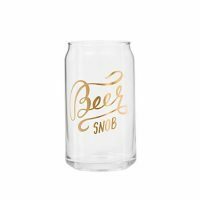 Top each glass with 6 ounces of beer. 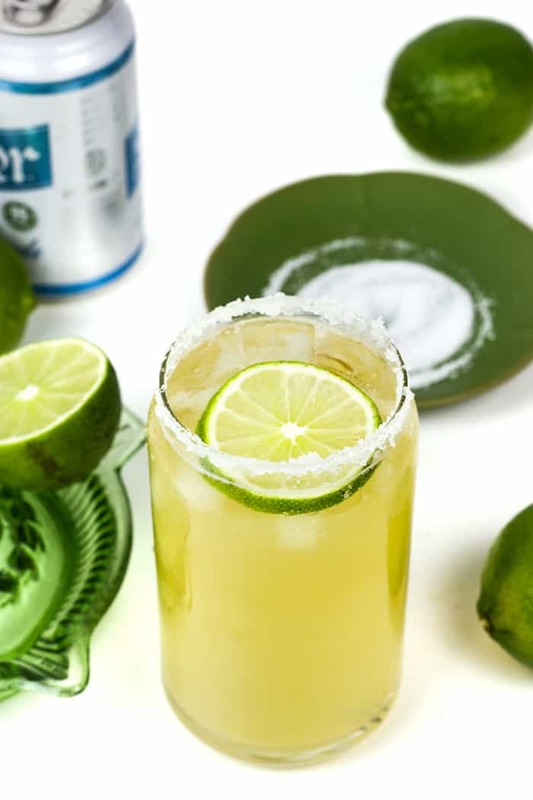 For a frozen version, combine 2 cups ice with tequila, simple syrup, lime juice and beer into a blender. Blend, and pour into salt-rimmed glasses. Enjoy!